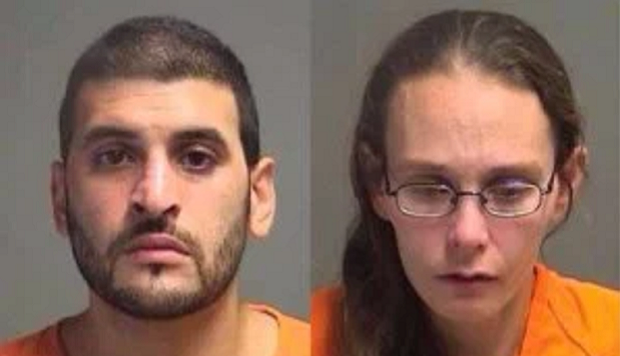 YOUNGSTOWN, Ohio — An Ohio prosecutor alleges a man stored his girlfriend's body in a freezer while another woman helped him and assumed the dead woman's life by moving into her home, using her credit cards and caring for her dog. The body was found last weekend at a Campbell home, near Youngstown. Authorities suspect it's a missing woman named Shannon Graves. They're awaiting official identification and information on the cause of death. Youngstown Prosecutor Dana Lantz says Graves' boyfriend, 31-year-old Arturo Novoa was living in her apartment with another woman. Each is jailed on corpse-abuse charges and had bond set at $1 million. Court records didn't list attorneys for them.